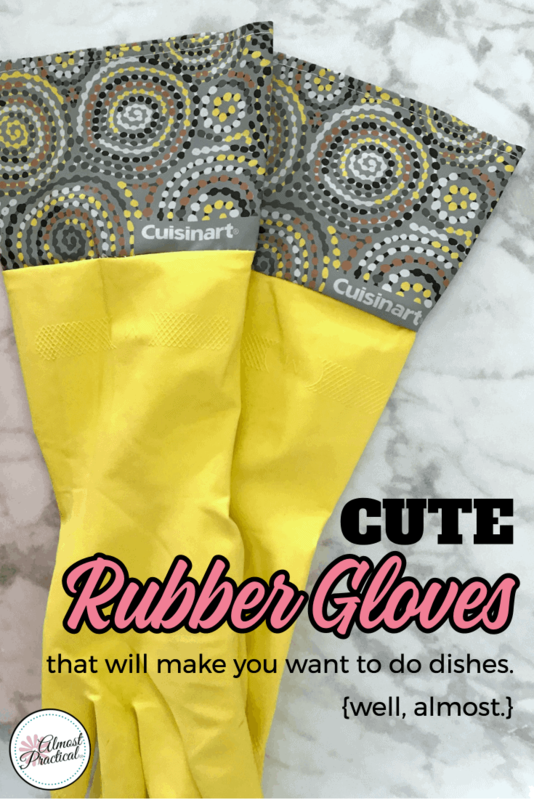 These cute rubber gloves will make you want to do the dishes. Well, almost. When it comes to doing dishes, I need all the motivation I can get. But my daughter wanted to do a "girls" day. Her idea: "Let's get our nails done." Now, most people would probably jump at the thought. But honestly, manicures are not my favorite thing. They take a long time. Fidgety people like me mess my nails up before they dry. And the nail polish lasts about 5 minutes, given all the work I do in the house and garden. But usually I complain about the process but am very happy with the look when it is all done. So here are my finished nails and I lurv them! 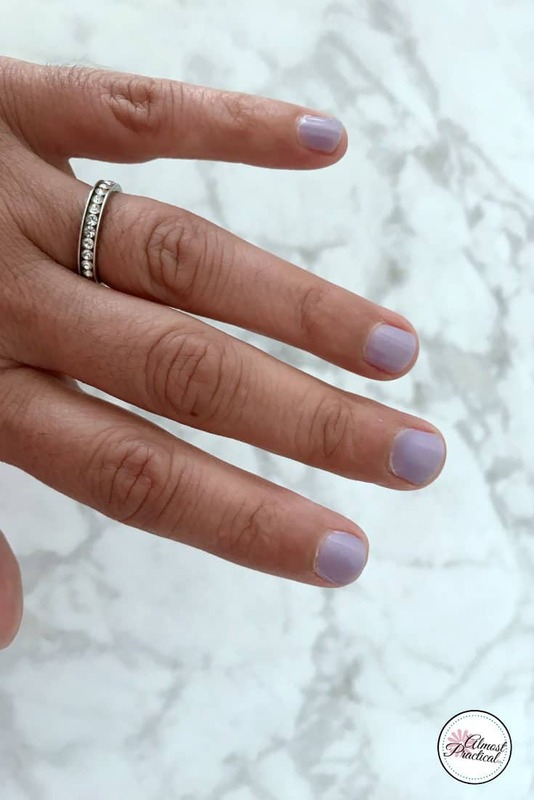 Of course I forgot to note the color that they used, but it was a light purple nail polish from O.P.I. Anyhow, back to those cute rubber gloves. A few months ago, I bought a pair of adorably cute rubber gloves but I had never opened them. But it was time to crack these puppies open. 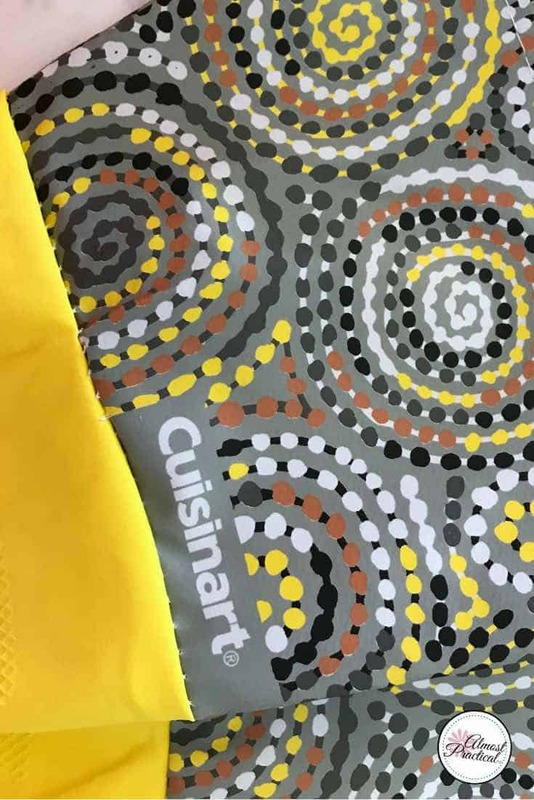 These are Cuisinart rubber gloves and they are much more fancy than your run of the mill rubber gloves for doing dishes. They have a wide cuff with a cute circle pattern and when you put them on you feel oh so elegant. The queen of the kitchen. Ok - so I would rather be the queen of relaxation or something much more intriguing than the kitchen. But a girls gotta do what a girls gotta do. And using these cute rubber gloves to do the dishes was more fun than not. So, I wanted to share them with you. However, there is one little downside to these lovely gloves. 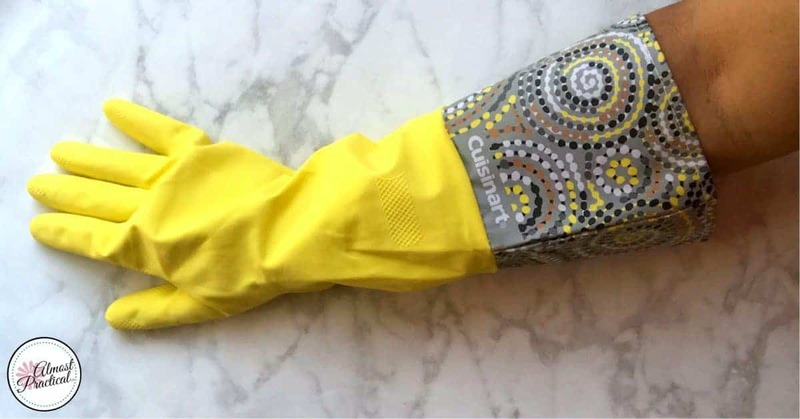 These Cuisinart rubber gloves only come in one size. Yup, one size apparently fits all. My hands are somewhat smallish to medium sized - and the gloves fit perfectly. But if you have larger hands or really small hands you might not get a great fit. Well, I thought I would be able to direct you right to a spot on Amazon.com where you could find these exact lovely puppies for your own kitchen. But, alas, twas not meant to be. They do carry the gloves I bought here - but you can't choose your color and cuff pattern. They will just send you out a random pair. The point is you want to find a pair of rubber gloves with a wide patterned cuff in a color that you like.